Charcot- Marie-Tooth disease is a neuropathic disease that affects approximately 1 in 2,500 adults. Charcot-Marie-Tooth is a hereditary disorder that involves progressive loss of touch sensation and muscular tissue across the body. Charcot-Marie-Tooth causes foot drop and issues such as hammertoe and misshapen hips. Treatment for Charcot-Marie-Tooth centres on doing all that can be done to help retain strength and mobility as the disease progresses. How can Charcot-Marie-Tooth Disease be managed? Maintaining strength, movement and flexibility is critical to managing CMT. Physiotherapy and keeping active are usually recommended as a way of managing CMT. Retaining stability as the foot drops necessitates the use of orthoses to keep the gait efficient and functioning. Good shoes and insoles are a prerequisite for maintaining an active lifestyle while suffering with CMT. How can orthotic insoles help with Charcot-Marie-Tooth Disease? Foot drop is one of the most common problems of Charcot-Marie-Tooth disease. This can lead to feet that are severely supinated, or in some cases overpronation. This will have a significant impact on gait and one’s ability to remain active. As well as this, feet that remain untreated can develop metatarsalgia, hammertoes, corns and plantar fasciitis. They correct gait abnormalities, caused by supination or overpronation, helping you to keep active and manage the disease more effectively. By correcting your gait, they reduce the chance of injury. This is crucial in maintaining your strength and mobility. 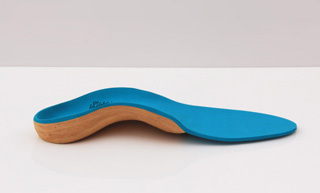 Dr Insole’s custom orthotics give your feet additional support and cushioning, and have excellent shock-absorbing qualities, helping to stave off corns and other pressure sores.